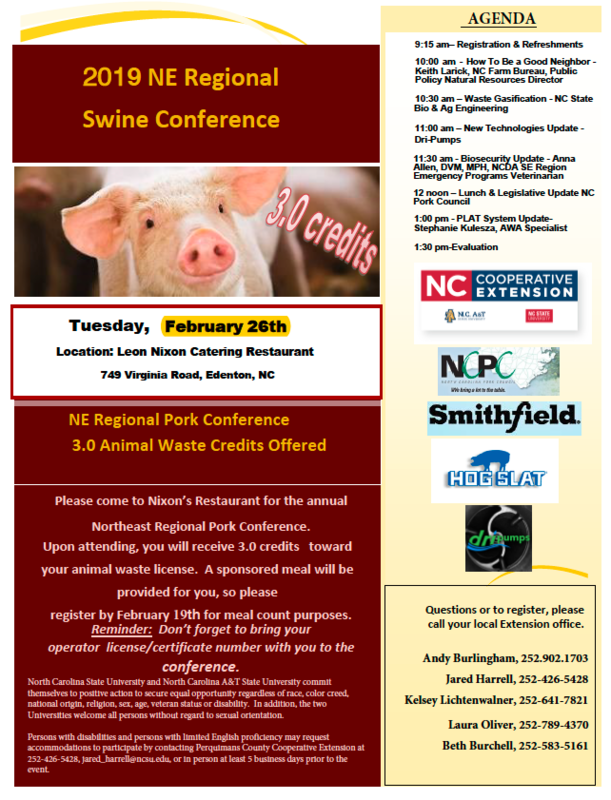 Join us for the 2019 NE Regional Swine Conference on February 26, 2019, at Leon Nixon Catering Restaurant in Edenton, NC. A variety of topics will be covered and 3 animal waste credits will be offered. Contact your local N.C. Cooperative Extension office to register for this event! • Should Consumers Be Worried About African Swine Fever?